On its surface, the story is about a 1951 kidnapping of a young boy who is the son of a Japanese woman and an American military officer. Seven years later, when the K Apartments building is lifted and moved to a different location in a grand public works experiment, the body of a child is discovered buried underneath a shared bathing area in the basement. Right around the time the child disappeared, a man dressed as a woman was struck by a van in an intersection near the apartment building, and it’s revealed to the reader early in the novel that this man disguised himself as a woman to help one of the tenants dispose of the body that would later be found in the building’s basement. Who in the apartment buried the body, and what relation does this have to the kidnapping incident? About twenty pages into The Master Key, however, it becomes clear that the mystery portion of the story is going to take a backseat to an extended exploration of the inner worlds contained within the K Apartments for Ladies and the psychological dysfunctions of its aging tenants. Ishiyama Noriko, who has been diagnosed with “nervous pains,” has removed herself from the rest of the world and lives in a dark apartment stuffed with other people’s trash, which she occasionally boils and eats to sustain herself. Yatabe Suwa, a former concert violinist who now gives music lessons to children, is haunted by the loss of potential represented by the theft of a violin from her own teacher, even though it’s possible that she herself may have more to do with this incident than she likes to admit. Kimura Yoneko retired from her position as a schoolteacher years ago and spends her days writing letters to her former students, and she is not above checking into the affairs of the other tenants as well. Santo Haru is obsessed with a religious cult, and she is in the palm of its leader, who frequents her apartment to hold prayer meetings centered around the trances of its vestal priestess. The plot is complicated and circuitous but is centered around the use and whereabouts of the master key of the title, which various tenants use to sneak into one another’s rooms in order to discover the secrets of others while concealing their own. At the end of the novel, it’s revealed that there is a mastermind orchestrating all of their movements, someone who has been spying on everyone for years and has manipulated the women around her for her own amusement. As someone who had essentially done the same thing to these characters through the process of reading this novel, I felt somewhat guilty, but not enough to lessen my enjoyment of how neatly all of the different plot threads are eventually tied together. I will openly admit that I love stories about women being unpleasant and irrational and absolutely human. All of the female characters in this story are a little pathetic and a little demonic in that they have no power outside the K Apartments but all manner of strange little powers within their closed world. I’m sure this can be read as a metaphor for something, but it need not be, as the haunted and uncanny environment the characters shape through their bizarre actions is absolutely fascinating in and of itself. For people with more background on Japanese history and urban space, the story’s setting in Ikebukuro is of special interest. In the immediate postwar period, Ikebukuro famously functioned as a heterotopia in which diverse groups of people came together and the norms of mainstream society didn’t necessarily apply. There is all manner of hidden “national polity” history in Ikebukuro, where the family-state of Japan has buried countless failed narratives under highways and skyscrapers. 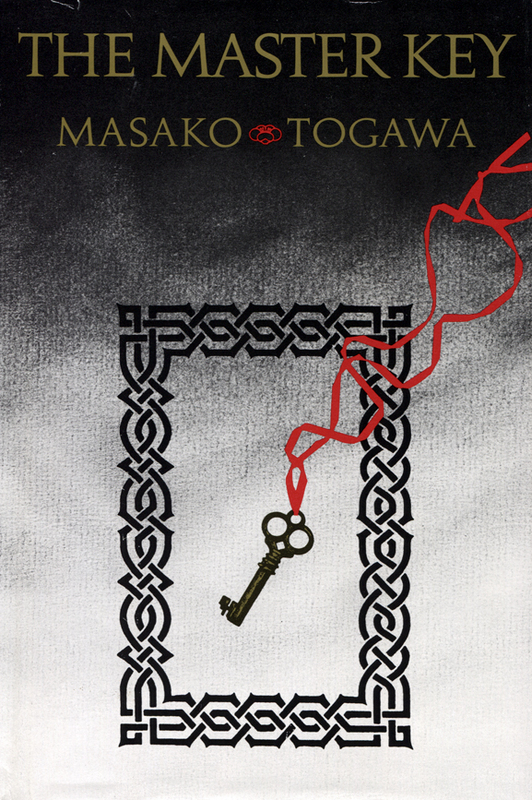 The Master Key thus serves as an excellent example of postwar Tokyo gothic (as similarly exemplified by Kyōgoku Natsuhiko’s The Summer of the Ubume). A reader doesn’t need historical knowledge to appreciate the story, but a bit of research into the setting has the potential to deepen the experience of reading this novel, which has sub-basements under sub-basements under sub-basements. The Master Key is long out of print but still cheaply available through a number of online used book services. If you have access to your local or university library’s Interlibrary Loan program, it’s well worth requesting this book. It’s a quick read, and it packs a huge impact. To my fellow horror and mystery lovers especially, I highly recommend tracking down a copy of this short, satisfying, and creepy little novel. Juliet Winters Carpenter, the translator of Enchi Fumiko’s novel Masks, is one of the most eloquent translators of Japanese literature alive today. Carpenter has translated everything from Tawara Machi’s groundbreaking collection of tanka poetry, Salad Anniversary (Sarada kinenbi, 1987) to Asa Nonami’s hard-boiled police thriller The Hunter (Kohoeru kiba, 1996). My advice to all lovers of Japanese literature would be: if Juliet Winters Carpenter has translated it, you need to read it! Enchi Fumiko is one of the most highly regarded writers of literary fiction in Japan. Her father was a scholar of classical Japanese literature, and Enchi grew up devouring the books in his library, from the medieval Tales of Moonlight and Rain to the stories of Edgar Allen Poe. Her pen name, Fumiko, means “child of letters” or “child of literature.” When she grew up, she undertook the translation of the monumental eleventh-century novel The Tale of Genji. She is famous for incorporating allusions to classical literature into her own fiction, which was highly praised by writers like Tanizaki Jun’ichirō and Mishima Yukio. Enchi’s work is known for its tightly woven plots, subtle writing, strong visual imagery, and masterful use of symbolism. An Enchi novel is like a structuralist literary critic’s dream come true. There is an incredible amount of information packed within each paragraph, and her novels and stories have inspired a wealth of interpretations. Enchi is an intellectual of the highest magnitude yet also possesses the ability to imbue her fiction with great emotional weight. Although Enchi is primarily known in Japan for her novel The Waiting Years (Onnazaka, 1939), for which she won the prestigious Noma Literary Prize, Masks has its own spooky charms. 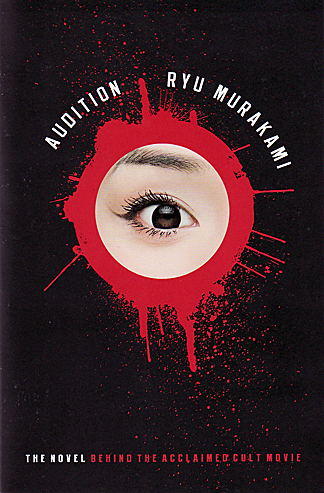 Although the work’s title refers to the masks of Noh drama, particularly the “madwoman” masks that lend their names to the chapter titles, the novel draws many of its themes and allusions from the Tale of Genji. The parallels Enchi draws between The Tale of Genji and the cultural climate of postwar Japan are fascinating. 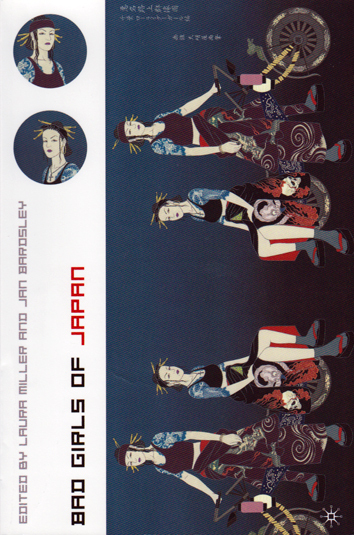 Not only does the author create distinct connections between her characters and the characters of the Heian romance, but she also makes use of themes such as spirit possession and romantic substitution to subvert the gendered expectations of the patriarchal and misogynistic societies that hold sway in both The Tale of Genji and postwar Japan. Believe me, she is a woman of far greater complexity than you – or anyone – realize. The secrets inside her mind are like flowers in a garden at nighttime, filling the darkness with perfume. Oh, she has extraordinary charm. Next to that secret charm of hers, her talent as a poet is really only a sort of costume. Masks centers around Mieko’s attempt to use this “secret charm” of hers in order to set into motion a deep and complex scheme of revenge, creation, and rebirth. What Mieko is able to accomplish by the end of the novel is both terrible and beautiful. If nothing else, the events that occur during the final dramatic quickening of the work are thought-provoking and will force the reader to consider multiple ethical questions. Masks is perhaps one of the best introductions to Japanese literature, and more specifically Japanese women’s literature, ever published in translation. No matter where your literary interests lie, this is a novel you need to experience.